He has been inspired by Grammy award winning engineers like Jaycen Joshua and Craig Bauer. Michael wants to keep the legacy going and set the bar higher considering the latest technology advancements. Now he's attracting part of the industry's attention as of lately due to the overwhelming positive feedback from countless clients in every corner of the country. He has worked with a wide variety of artists since 2007 and just recently graduated from SAE Institute (School of Audio Engineering) in NYC. Michael is such a great guy and a professional in his field. He takes care of your sound for your money's worth. After having to deal with bad engineers in the past, I was happy to have found this guy, one who actually knows his job. meeting him was a blessing....I love Michael and you will too once you work with him.....Michael "you the best!" Michael Ashby is one of a kind Engineer. He produces nothing but pure quality. The service and dedication he puts into his craft is well noted and I have worked with him for years and I wouldn't recommend anyone but him. Watching Michael make magic is a great experience, He knows what his doing and he makes the artist feel comfortable by coaching them and guiding them. Me being a female engineer who is new to the game likes the way he teaches me to work with artist and how to build a relationship with them. His just great!!! Excellent Quality! You will not be disappointed. I recorded my entire project there and was beyond satisfied. I'm recording my next project there hands down. If you want your music to sound mainstream, Contact that man. This studio is the best one I've been recording at hands down !!!!! Anybody that needs any mixing done make sure you come here.. You will not be let down trust me !!!!!!!!! All i can say, godsent!!! Michael Ashby aka "Magic Mike" is honestly the best engineer I've ever worked with. As a Songwriter/Singer, I pride myself in the recording ART and to have someone with attentive ears that can hear if something is the slightest bit off, helps make the creative process that much easier. I recommend him to anyone looking for a dedicated engineer. Actions speak louder than words, Michael Ashby at Krematorium Studio is the BEST hands down. Your creation is in good hands at www.thekrematorium.com friendly environment, beautiful energy!... Ashby's a cool dude with great ears. the krematorium is one of the best studios i know and has one of the best engineer around. before and during and after fame mike ashby has to be the one to mix and engineer my hits i wouldn't settle for less. if you really are serious and passionate about your sound and your music and if its important that your music is A1 mike ashby is your guy!!! One of a kind producer !!!!!! the energy in mikes studio is relaxing making it easy for me to get in the zone. he always has his own creative input to help bring my visions to life making my vocals sound 100x better than I had anticipated. i continue to work with mike because he always puts his best foot forward taking pride in his work, a quality i greatly admire in someone! Mike is by far one of the best engineers in NYC, his mixing sounds better then most people's mastering. From quality to taste, he has what it takes to make anyone a hit record. I appreciate his service and comfortable studio environment. He's an A1 engineer. Had my bass sounding dope! Looking forward to working with you in the future. Mike the best is yet to come!!! Having been a client of Michaels for 6 years, not only am i able to count on him for his incredible talent, reliability, and his consistent work ethic, but we built a strong friendship in the process. Michael is as professional as they come. 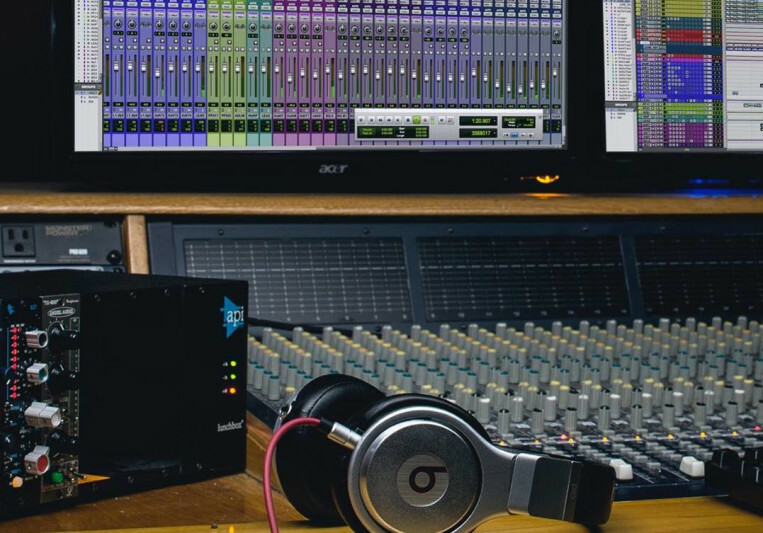 With his brilliant skillset, you'll leave the studio with a quality record, GUARANTEED. I have worked with Mike for many years now and my experience with him could not have been a better one. Mike will tell it like it is and make sure everyone's job is done to perfection. He puts his heart and soul into each mix and you will truly get the best sound from working with him. Great creative vibes with awesome mixes!!! As a drummer, my relationship with Michael has always been pleasurable. He's a drummer and knows exactly what I want to hear in my headphones and how to make the drums sing! As a producer I've called him several times asking sonic advice. How to get the best out of my plugins and how to send a decent production mix. Mike is surly my #1 engineer! Michael Ashby is truly a gem at his craft, his tentativeness and footprint are written all over every track he touches. I'm currently in a hip hop collective releasing our first mixtape and working with Ashby MAKES ME WANNA WRITE MORE MUSIC!!! and as a artist that's the best thing in the world when a engineer makes YOU sound better to Yourself!!!!! Mike makes strive for perfection. He wants You to leave with something your proud of. Mike has a great habit of making his studio a stress-free environment. Everytime I've been there, we've been able to create something even better than expected. Mainly due to his ability to listen to the artist and creatively coming up with ways to enhance everything. I highly recommend him if you need a quality studio. I ALWAYS have a positive experience working with Mike! He's so patient and knowledgeable, and he really cares about my vision as the artist. He does his best to bring it to life, and when I listen to my work that comes out of there, it's always a good feeling! I always learn something new from him, and I highly recommend him!! Ashby is one of the most passionate engineers I have worked with. It's not just a job for him, he genuinely loves what he does and it shows in his work. As an Rnb vocalist I require a lot more than most engineers can handle but I'm super confident working with Michael. Now if only we can get more engineers like him, music will be better as a whole. I'm in a hip hop collective, and we are putting out our first mixtape, all engineered by Michael Ashby. And I couldn't be more happy with the outcome. He truly takes his time, and has the kind of musical ear that picks up on everything and knows EXACTLY where you are going with it. As an artist, this is invaluable. Highly recommended to everyone. It's great working with Michael, he knows how to get the sound needed for your recording. Very professional and always has what's best for your music in mind! Michael is hands down an Amazing engineer. I have worked with so many other and none can compare to Michael. He knows EXACTLY how to work with my style of music and voice. He is attentive and gets down to ever detail when he is at work. Within the 6 years ive known him his works gets better and better. His works is crisp, clean , and PERFECT! He is definitely one of the best and I can say that I've found my home studio. Every second and penny is worth spending because you will be satisfied. Mr.Ashby knows his stuff!!! I have been working with Michael for 4 years and I can say that he is the only engineer that knows my vocals like no other. He is a master at the sounds and sonics of everything that surrounds you. Mike has done all my albums and we even won the Hollywood Music in Media Award & Global Music Award for the song "Maria" which he engineered. Hire Him! This studio is more than just top of the line. You are getting every dollar with and more! If you want quality sound, and great customer service, book now! One of my many clients featured in Billboard Magazine “emerging artists” Melissa B! @melissablive a @GMAMusicAwards Gold Medal Winner. THIS Feb. 26th edition!